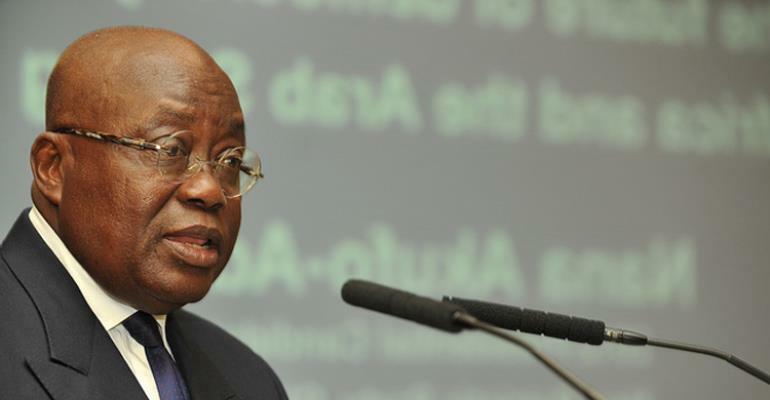 The German Minister for Economic Affairs and Energy, Brigitte Zypries, has called for a re-look at some aspects of Ghana's investment laws as the country gears up for economic and industrial transformation. Delivering one of two keynote addresses at the Konrad-Adenauer-Stiftung Foundation's German-Ghana Business Forum in Berlin Germany, the Minister called on President Akufo Addo and his government to take a second look at the investment laws of Ghana if the new wave of German-Ghanaian Economic Relations is to see the full benefits of the business potential it presents. Zypries who has headed the Federal Ministry for Economic Affairs and Energy since 27 January 2017 and served as Federal Minister of Justice from 2002 to 2009 said Ghana's economic performance the last one year is quite impressive. She, however, added that her years of observing the Ghanaian economy informs her that for Ghana to attract the next level of investments, there is the need for some unfriendly investment laws to be reviewed. President Akufo-Addo for his part indicated that he has taken notice of the suggestion by the Minister for a review of Ghana's investment laws. The lawful processes the President assured, will be initiated for purposes of considering the investment laws of the country. Additionally, he told the gathering that his Government has taken specific measures which will lead the country and its economy into the new digital age. These include the introduction of an e-business registration system, a paperless port clearance system, a digital addressing system, a mobile interoperability system, and a national identification card system, all of which are designed to formalise the Ghanaian economy, reduce the cost of doing business, and facilitate interaction between businesses and their clients, particularly in a technology-driven era, where connectivity through digital services is an important element in achieving competitiveness. “I am, thus, notifying the German Business community, to take advantage of the growing business-friendly climate in the country to invest in Ghana,” he said. Addressing the challenge of the country's infrastructural deficit, he told the gathering that his government is embarking on an aggressive public private partnership programme to attract investment in the development of both the country's road and railway infrastructure. “We are hopeful that, with solid private sector participation, we can develop a modern railway network with strong production centre linkages and with the potential to connect us to our neighbours to the north, i.e. Burkina Faso, to the west, i.e. Cote d'Ivoire, and to the east, i.e. Togo. We believe that this is an area where German and European technology and expertise would be very welcomed,” he said. President Akufo-Addo was confident that Ghana is on the cusp of a new, bold beginning, which will repudiate the recent culture of failure. “We are determined to lift our country out of the doldrums. We want to use all the blessings that the Almighty has bestowed on us to bring progress and prosperity to our people, in our time. The Black Star is poised to shine and shine again, for, truly, the project is Ghana Beyond Aid,” he added.